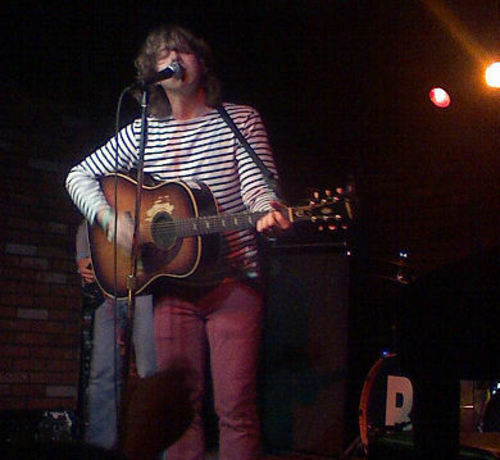 The show was at Bottom of the Hill in San Francisco. This is one of my favorite venues in SF; it is a tiny little place, at -- you guessed it -- the bottom of a hill. It's in an area with mostly residential and industrial surrounding it, so it's a bit out of the way from downtown and doesn't get much of the same attention as bigger venues in the city, but it's a fun place to see a show. 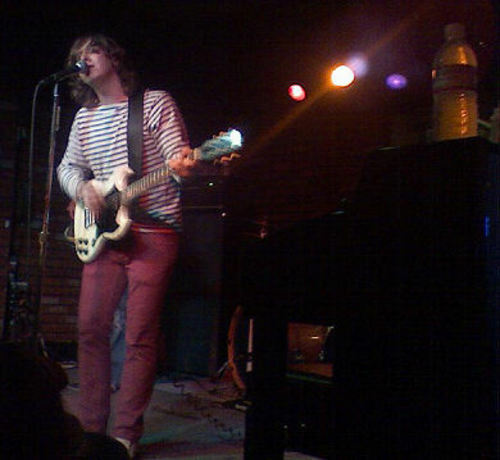 The opener was Willy Mason. I had never heard his music before but was very pleased right away with his style: a blues and country fusion that's a great throw-back to the sounds of the 40's and 50's. This is the stuff rock 'n roll was built on. Personally, I love that era of music and it's such a rarity to see artists today with a similar sound, that you can't help but get really excited when you do hear it. One of my favorites of the songs he did was called "The End of the Race." Willy's vocals are amazing on this. He has a deep, smooth voice with a hypnotic quality. Since coming home, I've been listening to this on repeat on his Myspace page. Another stand-out was "Riptide," and while it was impressive live, I have to really recommend the recorded version. Willy did this set solo, just him and a guitar, but the studio version offers some violin and percussion that really fills it out beautifully. Although Willy's set had a very mellow vibe, the crowd was uproarious with applause at the end as though they had just seen a full band rock jam. 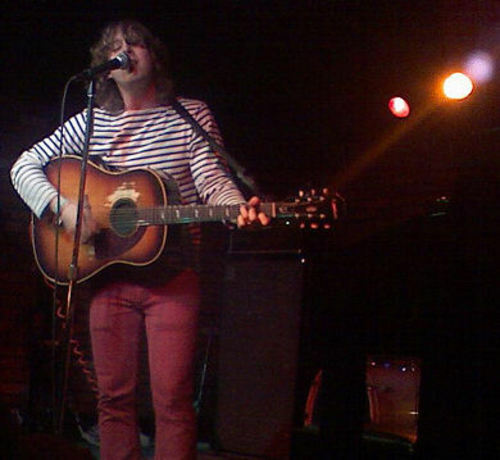 Time for our headliner, local-born Ben Kweller. The sold out crowd was a mixed bunch, but noticeably with a lot of teenage girls, each seeming to be desperately in love with him. It was like a flashback to the prime days of 'N Sync. In particular, there was a crowd of five or six girls right by the side of the stage that would scream at the top of their lungs anytime Ben came near them and start reaching aggressively for a touch of his hand. I found them almost equally as entertaining as the performance itself. The set kicked off with "I Need You Back," and it was the perfect way to get the show going with its up-tempo calls of "Hey! Hey, I need you back!" throughout the chorus and a two-count drum beat that makes you want to dance. What you notice right away about Ben is that he has a commanding stage presence and is filled with great energy and charisma. You can't help but keep your eyes glued to him at all times for the little nuances he adds in. This was definitely a crowd favorite and was an enchanting moment, especially near the end when the piano is slowed down for a repeat of the line, "It starts stopping when it stops stopping"; everyone was singing and swaying along. Next, Ben and his touring accompianment of bassist Chris Morrissey and drummer Mark Stepro, played a few new songs. The first was called, "On Your Hat," (or at least something very similar to that), and was a fun tune. I liked it a lot. 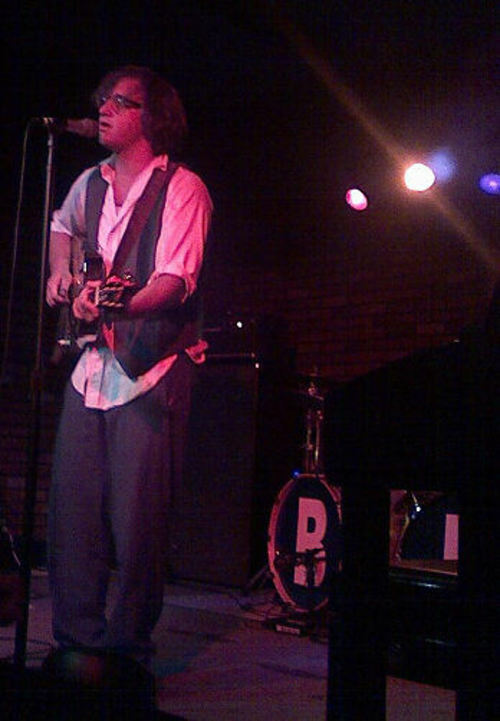 It really showed off Ben's folk-rock element and was received with similar praise as older favorites. 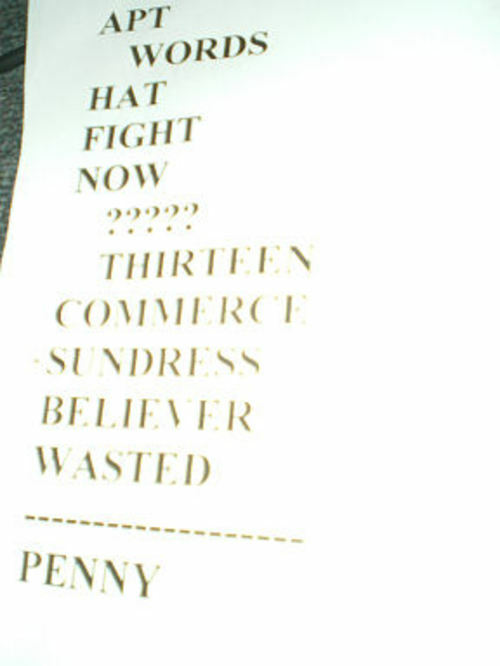 "Thirteen," a track from Ben's self-titled album, was a little later in the set. He wrote this song about his wife, and it is played on piano with harmonica accompaniment in one section. It is a very sweet love song, and in an industry where artists often force a catchy chorus and rely on it to carry the rest, this is an example of, in my opinion, more advanced artistry and songwriting ability: not having a chorus but rather a progression of verses that tell a story and have no need for a hook to pull you in. One of my favorites to hear live was "Sundress." 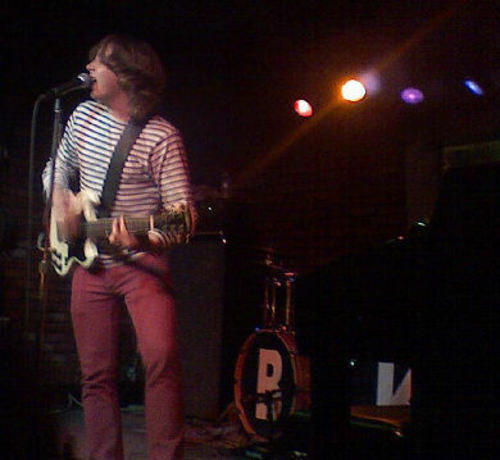 It encapsulates a large part of the appeal of Ben Kweller, which is that his songs have this wonderful emotional quality about them, even if they are upbeat and fun. I think this one in particular is just, for lack of better word, adorable. Lines like, "From the inside out, you're so beautiful, I want to hold you in my hand," are so simple yet pure that you can't help but smile. The gritty punk/rock/folk twist of "Believer" was an incredible performance. It has a great guitar riff that carries it, and an impressive solo in the middle. 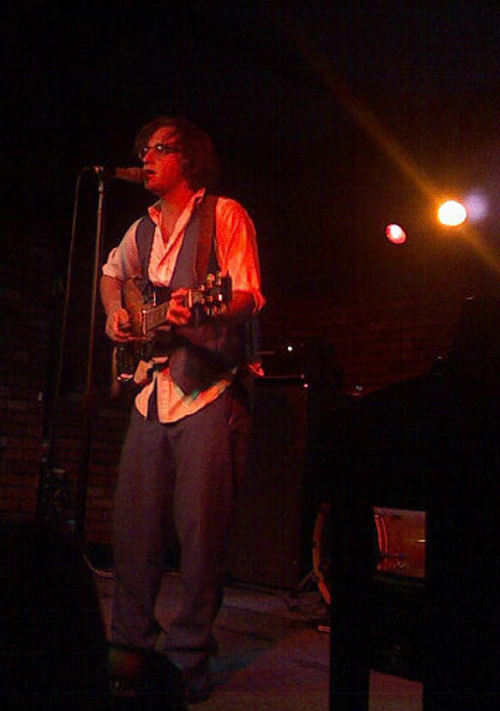 The song shows off a different side to Ben's voice, exemplifying his versatility and ability to cross through several genres and bring them all together as one sound. The set closed with "Penny On The Train Track." I really love this song. It shows a lot of growth in comparison to Ben's older material and is the kind of tune you just want to blast as you're driving. It has what is clearly some classic rock influence with folk and indie sounds still present. This was a great way to end the show and no one failed to get lost in the music. 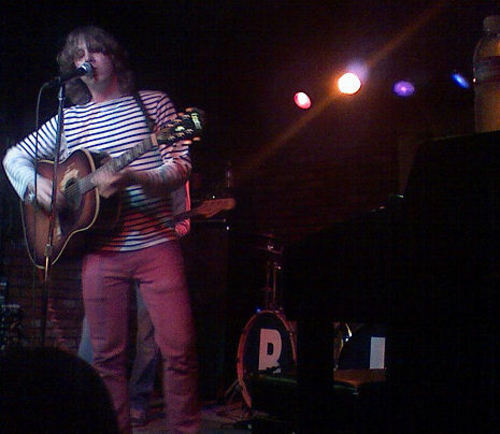 I left fully understanding the appeal of Mr. Kweller. He has a unique sound and is extremely talented. Seeing him live really brings his music to a new level and, whether or not you're familiar with what he's doing, it'd be difficult to see this guy and not have a good time. You did a really great job on this review. Your memory for detail and way of describing the music makes us feel like we were right there with you. i think this is your best review. well-written, descriptive, professional yet like you're 'one of us'. great job! This is fantastically written. It flows really well and I feel like I was there! You are a great writer. In Other Words is an incredible song. I can easily see why that would be the stand out for you. I agree with the people above that this is for sure one of your best reviews. You rock! you wrote this wonderfully... it was a pleasure to read. and the pix are great! !